Early bloomer. 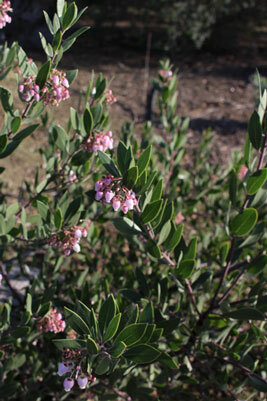 Medium size Manzanita - slightly smaller than Ian Bush Manzanita. Used as an accent plant of lower hedge. 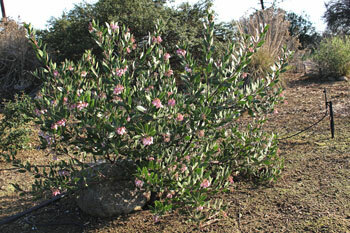 Lots of pink -white flowers. 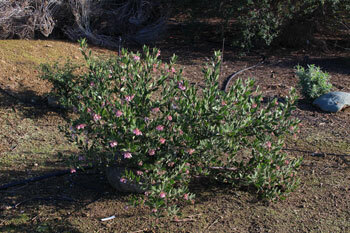 Can be pruned into a small tree. Smooth dark red-brown bark.